Choose your favourite photo and split it over 2, 3, 4, 6 or 9 panels according to the model selected. You select the dimensions of your Kadapak Multiple to the centimetre, so you can completely personalize your interior. The photo on Kadapak is a high-quality print on foamboard, offering high-fidelity colour reproduction. 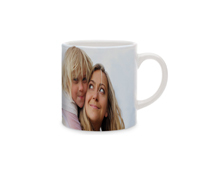 Your photo on Kadapak is delivered with an aluminium frame in your preferred colour. Your lightweight Kadapak can be hung in an instant, thanks to its mounting system fitted on the reverse. Just select the size of your Kadapak Multiple and choose your photo. Our software then lets you get creating in a matter of minutes. You choose the combination of Kadapak that suits you and then select the dimension of an individual Kadapak (minimum 20 x 20 cm / maximum 90 x 120, according to the combination selected).